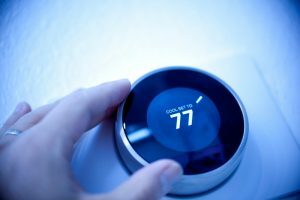 HVAC Upgrades: Could You Use a New Thermostat? Generally speaking, most homeowners know that they need to upgrade their home comfort systems every 10 years or so. 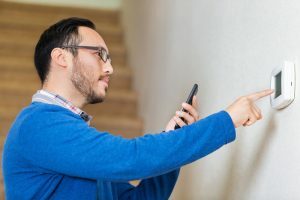 Plenty of folks are on top of it when it comes to upgrading their heating and cooling systems, but there’s a component of both of these systems that is often forgotten about—the thermostat. Posted in Thermostats | Comments Off on HVAC Upgrades: Could You Use a New Thermostat? How Does Your Thermostat Impact Your Energy Usage? You have many options when it comes to what type of thermostat you choose to control the cooling and heating systems in your home. For instance, if you have one of the manual, “slider” type thermostats still, simply replacing it with the most basic digital thermostat is an upgrade. 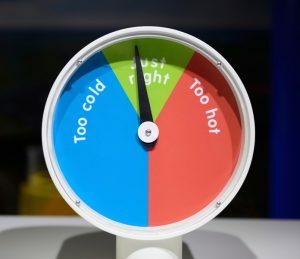 You can take this even further by investing in a programmable thermostat or a smart thermostat—which learns your cooling habits and adjusts accordingly. Posted in Thermostats | Comments Off on How Does Your Thermostat Impact Your Energy Usage? Is Your Thermostat Causing Air Conditioning Issues in your Home? If you are like most homeowners, you probably don’t give much thought to just how vital your thermostat is to your HVAC system and your indoor comfort. This may be an extremely small component of your overall cooling system, however it serves as the “brain” of your air conditioner and can either make or break your cooling efforts. Posted in Thermostats | Comments Off on Is Your Thermostat Causing Air Conditioning Issues in your Home?